We’re so excited to have released Kitomba’s new look! The feedback we’ve received from our customers has been amazing. We also received feedback from our customers on areas we could improve. It’s really important to us to maintain our new look while also taking this feedback onboard, to ensure all of our customers love it. So we’ve completed some updates that we’ll be rolling out over the next couple of weeks and we wanted to let you know what we’ve done! 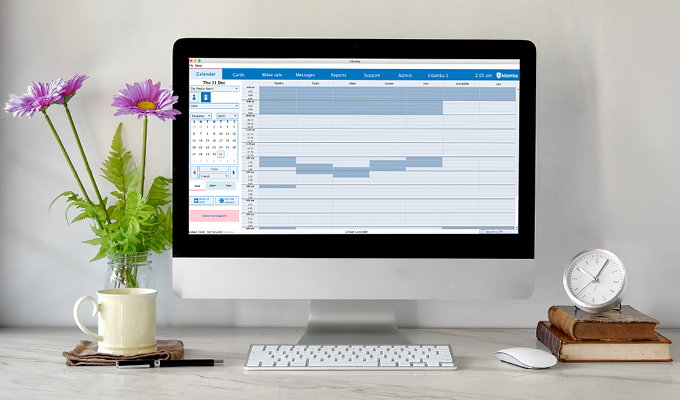 The left hand panel on the Appointment Book now features dark blue borders in important areas. 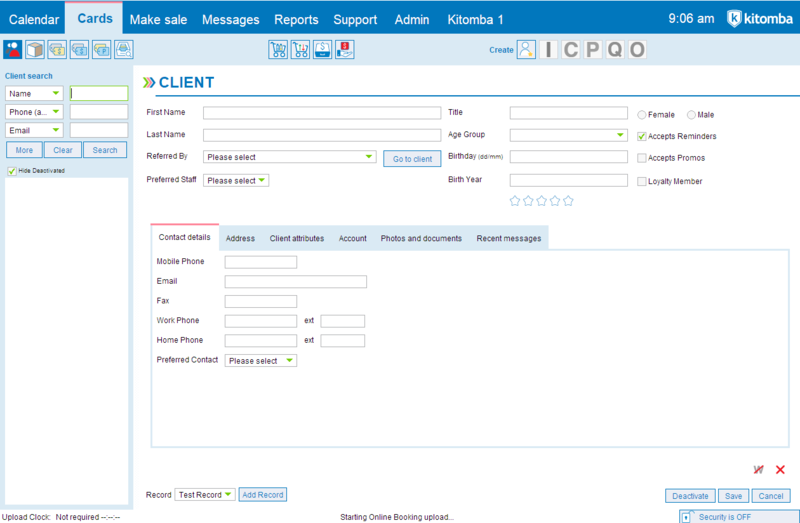 This is to ensure the calendar and functions on the panel can be found quickly and easily. We’ve also changed the staff column icons for Timetable Overrides and Staff Notes to Kitomba blue, so they can be seen and understood at a glance. Finally we changed the colours used for some of the client service icons. This is so you can quickly differentiate between them. We’ve used a slightly darker blue for blocks of colour behind our navigation areas. This is to ensure those with contrast or resolution issues can clearly see everything. It also adds more structure to the screen so things are easy to find. Thank you to everyone who’s provided us with feedback, we really appreciate it and hope you like these updates! All these updates are great and exactly what I would have wanted changed! Wonderful, and thanks for listening to our concerns. Will now put my glasses back in the case. You used to be able to see the notes inside the booked service without clicking on it. Are you bringing this back? We haven’t changed how Kitomba works, just how it looks, so the notes inside booked services on the Appointment Book should still be working. 1. Go to the Admin tab. 3. Go to the Calendar tab. 4. Find the ‘Notes on appointments’ option and select ‘Show + Editable’ if you want to edit the notes in the appointment, or ‘Show + Uneditable’ so you can’t edit the notes on appointments. If this doesn’t work, please give our support team a call and they can look into it for you! I have just received help From Aizaz in Auckland updating my Kitomba package and I am beyond grateful. I have been on a old system for quiet some time and did not properly realise I could upgrade etc. being not so techno savvy myself he is making this very easy and I hope to widen my business growth for this up coming year. Thanks so much for your lovely comment Latasha! Here’s to a successful 2019!